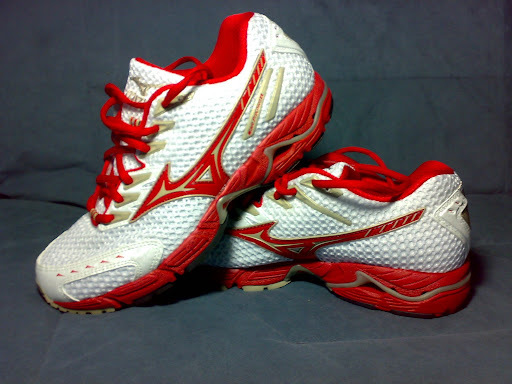 I recently started wearing the Mizuno Wave Elixir. 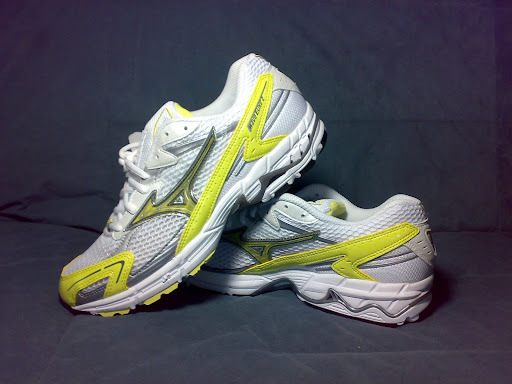 Over the last 2 to 3 years I’ve consistently run in the Mizuno Wave Precision. After my injury earlier this year from overuse and stress one of the things I decided to do given the imbalances and weaknesses in my legs was try some shoes with greater stability. Changing shoes is always an tough thing to do. Once you find a pair of shoes that work getting another pair that don’t feel right or worse still stress your body in manner you’re not used to and possibly cause injury is a worry. The Elixir is not very different from the Precision, it feels a little softer (more cushioned) and has a little more stability. The “wave” on the inside of the Elixir is different from the Precision and the cushioned part of the heel extends to the middle of the shoe instead of stopping right 1/3 of the way up the shoe like the Precision. In all the shoes are so similar I think it was a good move and a good choice. The Elixir even weighs less than the Precision which surprised me. For more cushioning (if I want to stick with Mizuno) the Inspire or Nexus would be options as well but they are over 11 oz and 10 oz respectively while the Elixir and Precision are under 10 oz and I like the feel of lighter shoes. Of course, I may change my mind as the mileage adds up and the feet get sore from the pounding and go with something with a little more cushioned. The other thing with the next level of shoes like the Inspire or Nexus is they aren’t as flexible or responsive so I’ll try and stick with the Elixir and Precision for now. This entry was posted on Saturday, May 30th, 2009 at 5:42 pm and is filed under Uncategorized. You can follow any responses to this entry through the RSS 2.0 feed. You can leave a response, or trackback from your own site. Less is more where shoes are concerned. do they make those yellow ones in men’s colors, or only in women’s? I have the men’s Exilir in blue and red, haven’t seen any yellow. The picture is also from an earlier model so I’m not sure.